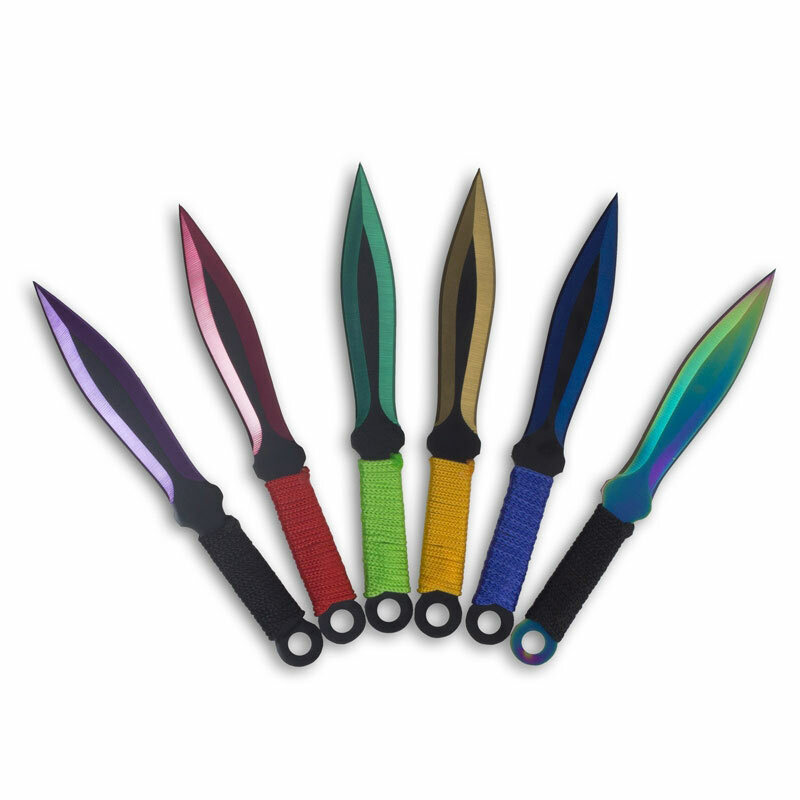 Take the Dragon Kunai Variety Set into your hands and no one will say that your throwing knives are colorless. Each kunai of this 6 piece thrower set is made from a single 6.5 inch piece of stainless steel and has an individual color scheme. 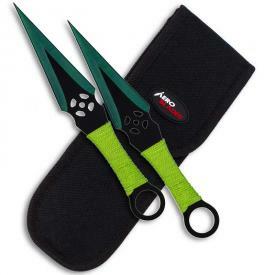 The handles are all cord-wrapped and end in the characteristic ring pommel of kunai that you know and love. 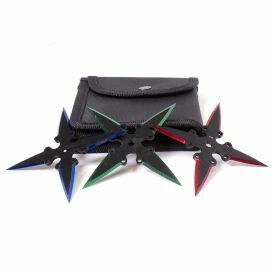 Within this set, there are four kunai knives that have a solid color: red, orange, green, and blue. The cord wrapping in their handles matches the anodized color of the steel. 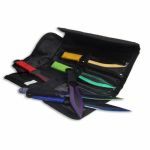 There is also a purple knife and a shimmering rainbow knife, both with black cord handles. 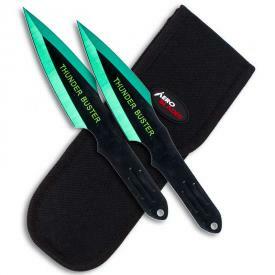 This set of full tang multicolor throwing knives also comes with a sturdy nylon carrying case and belt loop. The time is right for you to throw like the colors of the wind. You'll be gald you did. 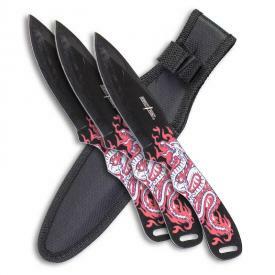 Each Knife Weighs 1.5 oz.